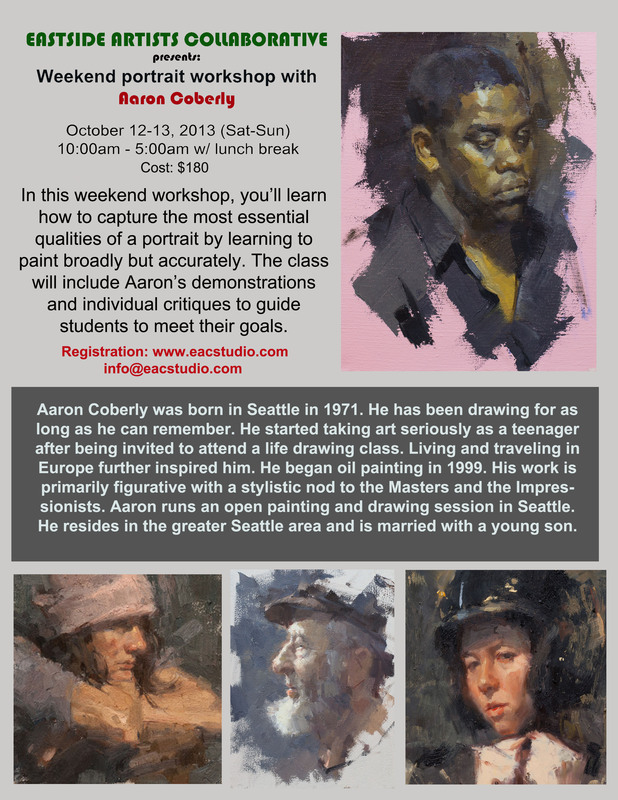 Thank you for all of you whose interested in Aaron Coberly’s weekend workshop. The workshop is now full. We will keep you updated for future worshop info. We look forward to a wonderful weekend with portrait demo and lots of learning! For information, please contact info@eacstudio.com or fill out our contact form below. Seats are limited, so reserve your seat now! For online registration, please click the Buy Now button.